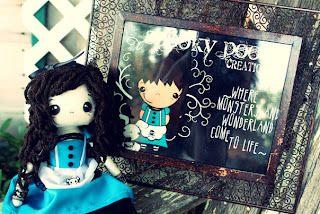 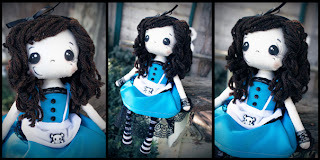 I had a body for a doll that I messed up- I didn't want to use it as a swap item or sell it since I knew I could do better, but I also did not want to just throw it away. Soooo, I made my logo into a doll! 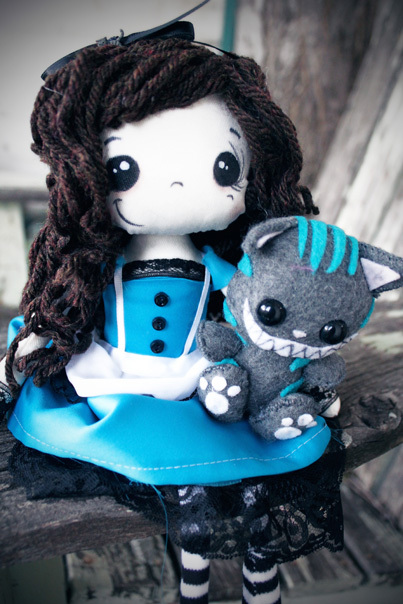 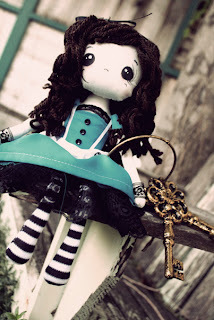 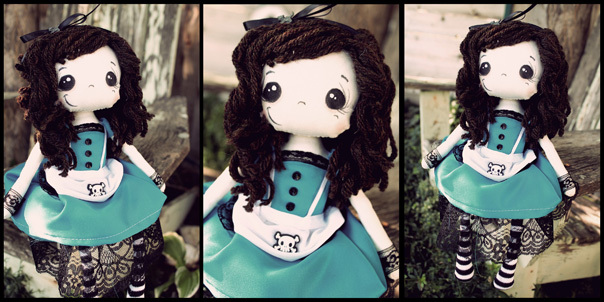 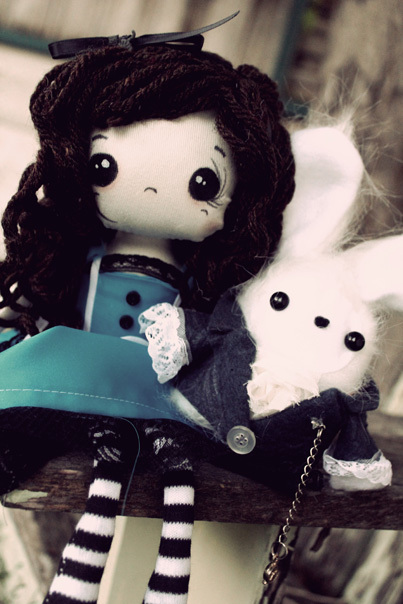 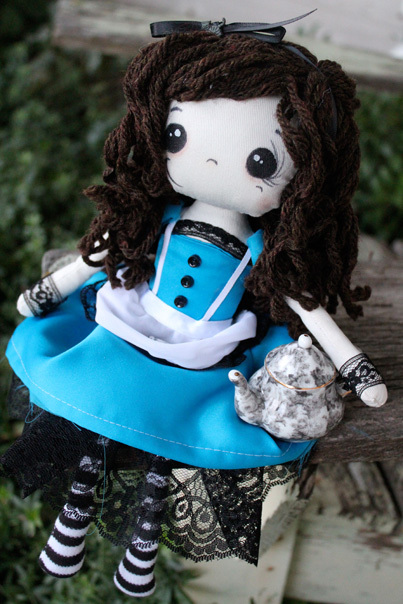 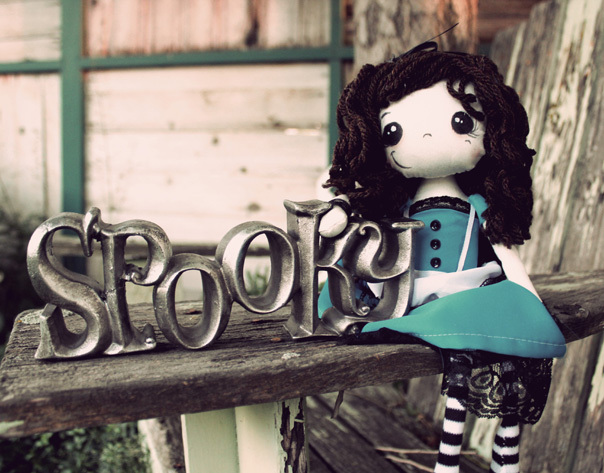 Here is me, Spooky Pooky, in doll form! 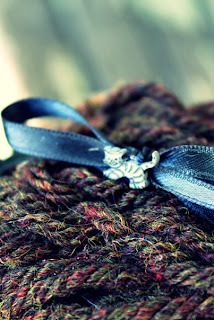 Taken right from my logo!